enerally, subziwallahs keep sprinkling water on spinach to keep them fresh. As soon as you come home, spread the spinach on a kitchen towel and gently sponge it dry before storing. Even a little water can cause the whole bunch to wilt. 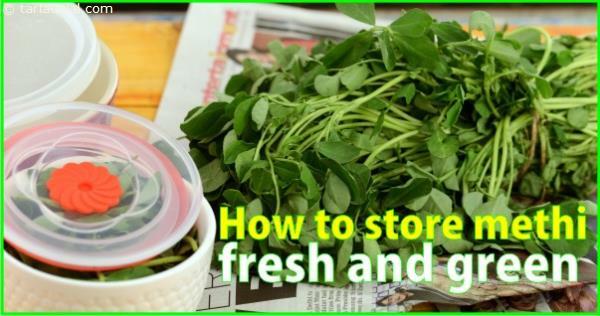 Once dry, refrigerate the spinach in a polythene bag. It will last for up to two days. If wrapped in a newspaper, it will last for up to a week.